Employee engagement doesn’t mean employee happiness or satisfaction. That is not enough. 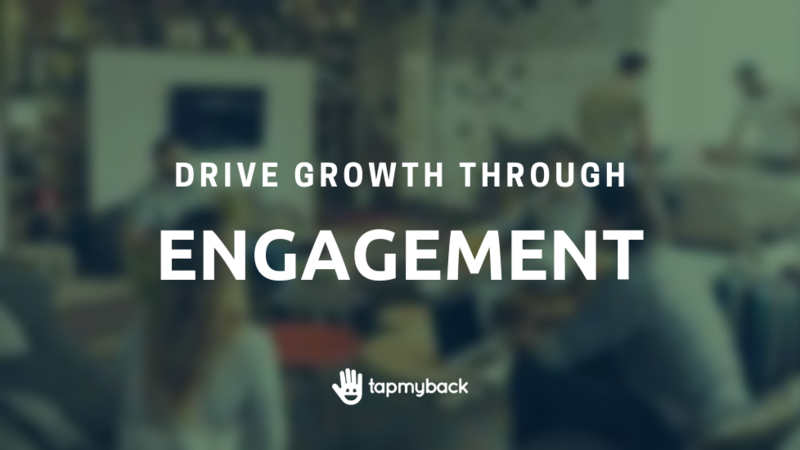 Tap My Back is an employee feedback app that enables a continuous feedback culture by supporting personal growth. An engaged employee is both happy and satisfied but one also has an emotional commitment to the organization, its goals, and values. The best way to increase loyalty and retention in your company is to give your employees the ability to grow with you and vice-versa. Statistics say only 30% of employees are engaged and even worse, that 26% are actively disengaged from their company culture. Those numbers cost around $350 billion a year to U.S. companies. As a recent study by Towers Watson points out, companies with high levels of engagement increase their income by 18%. On the other hand, low levels of engagement can mean a 33% decline in productivity. So, how can companies engage employees to retain top talent and have a great company culture? Money is not the answer as only 29% of employees at companies with money based rewards feel recognized. Money lacks the trophy value that gives status among peers and it is already part of the day to day motivation, it’s the reason we all work. So cash is not an extra incentive to give employees the extra boost to their morale. Peer-to-peer recognition and continuous feedback are some of the most valuable forms of motivation as it provides the feeling of wanting to keep improving and succeeding as a team. This leads to better employee engagement which reflects directly on the happiness level of employees and boosts the company’s performance and productivity. It is exactly for that reason that Tap My Back has developed a new way of looking at feedback. It is no longer just important to give, but also to ask for feedback proactively. And what a better way to do that than to have it all in one place? With Feedback Hub, you are able to ask and give feedback based on specific skills. These skills are defined by managers so that each employee can improve on the goals that truly matter to them. However, because tracking your own performance is as important, Tap My Back also improved its personal user profile! Now, everyone is able to keep track of their personal information and find growth opportunities as a person and a professional. Personal growth not only gives you motivation, but also a sense of purpose and the desire to achieve mastery. Nevertheless, it is as important to track your own performance, so now everyone has access to their data on recognition, feedback, and even mood. Like so, personal growth comes from the awareness of understanding yourself better and being able to develop old skills and discover potential ones. Data by day, week or month. Your data by day, week or month. Let’s try these out? Create your free trial account or Login in into your Tap My Back’s organization ?